Help Save Coach Millikan Era Basketball History Today! 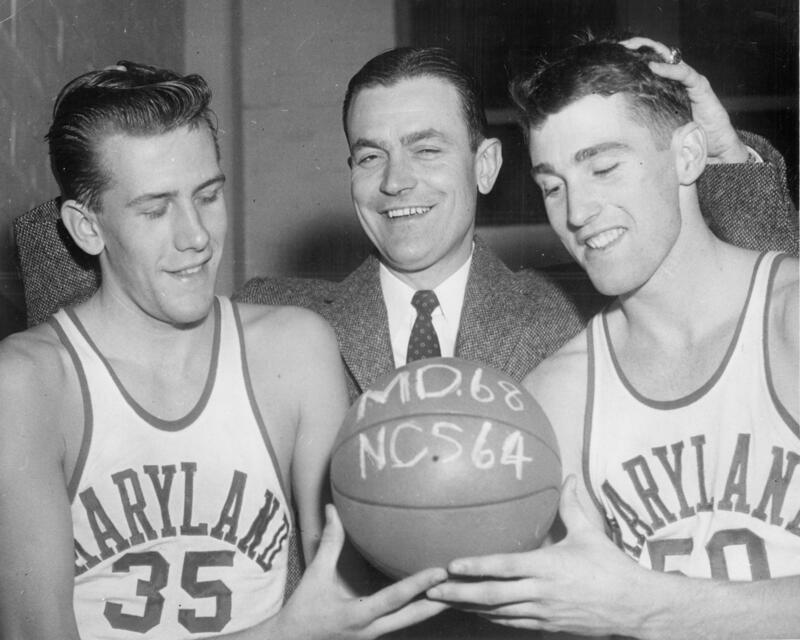 Herman “Bud” Millikan arrived at the University of Maryland in the spring of 1950 after successfully coaching high school basketball in Iowa and soon became known for his signature huddles, having his players lay on the floor during time-outs so they could hear him more clearly. He oversaw the transition from the Southern Conference to the Atlantic Coast Conference (ACC) and was responsible for coaching the Terps to their first ACC title and an NCAA Elite 8 appearance in 1958. Between 1950 and 1967, with a record of 243 wins and 182 losses, Bud Millikan coached an impressive list of “Millikanmen” including the 1953 and 1954 All-American, Gene Shue, the first African American basketball player in the ACC, Billy Jones, Jay McMillen, Al Bunge, Bob Everett, Pete Johnson, future Terrapin basketball assistant coach Joe Harrington and head coaches Frank Fellows and Gary Williams. It takes $162 to digitize one film reel and $60 to digitize one videotape, and Coach Millikan’s legacy is recorded on 90 reels of film and 3 videotapes of game footage. When including the additional cost of preserving and accessing this era of UMD basketball history, our goal is $17,200! Make a gift today, and help us save this important part of university history! Every dollar counts!